A mass organization can’t make it without members and volunteers doing a tremendous amount of work. There is no way that any level of dues collection or number of self-sufficiency schemes can ever substitute for all of the work needed to build large organizations. At the same, it’s almost impossible to be sustainable without some staff. Recently, I was in Ireland for the first-time visiting tenant support and action groups in Dublin, Limerick, and Galway. Their work over the years had been amazing. The support groups had done great work in eviction defense. At different times the groups had been able to come together, particularly in Dublin, to rally thousands against government cutbacks or mass evictions in private and social housing with all the work done by volunteers and activists. The problem was that it wasn’t sustainable. The mobilizations would ebb and flow, but would not yield permanent organization even though the issues and campaigns were often ongoing and interminable. Eventually, the numbers would fade and rather than building real power to protect and advance constituency interests, it would mean starting over and rebuilding to meet each new crisis, and often against even worse odds. Public bureaucracies can often dig in and outlast our surges, even when our cause is just. Corporate power, hedge funds, big banks and private equity, are currently entrenched and in ascension. It’s hard to beat the pros with a pickup squad. So, we all agree that we need organization, but sometimes it takes some struggle for some organizations to understand that they also need staff, meaning real people whose final responsibility it is to help with the organizing, research, communication, and other tasks that smooth and sustain long term organization. The question asked over and over in Ireland and country after country, city after city, community after community, is simple: how do we get there? Someone always plays the role of an organizer, but at the point in the organization’s life that you come to inescapable conclusion that you will have to build the capacity to sustain the work and create enough power to win, it takes leadership to get there. 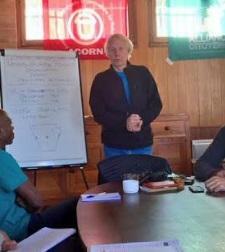 In the United Kingdom we are finding that we are overwhelmed with invitations to build new ACORN community organizations and ACORN Tenant Unions. We know they want – and need – staff, but we don’t have the resources. We advise them to bring together ten or twenty people to begin the organizing. We send them a “starter” packet and support them on email, phone, and with occasional visits. Critically, as a dues-and-donation based organization, we give them a benchmark to reach. When they reach one-hundred dues paying members, we make them a formal local chapter or branch. As they reach one-hundred fifty, we help them hire an organizer part or fulltime depending on community support and commitments. Sure, there are other ways to do this. You might get lucky and get a small grant to short cut the process, but, frankly, that’s a crapshoot, and many don’t score. Furthermore, grants come and mainly go, and then you are back to square one again. You might find an angel somewhere, but heaven knows that might even be harder. By creating a mechanism of support within the very community that is being organized whether neighborhood, workplace, or housing high rise, slowly but steadily the organization can get to a place that would be straightforward to sustain. Not every emerging group will make it. Some will fall by the wayside finding the climb too steep and their step unsteady. But the ones that make it, have a chance of being able to not only fight successfully in the ongoing struggles, but also build the confidence and experience to scale up from that point forward. It’s not magic, but it is work, and it’s worth it. Want to try? Call me maybe. In building an organization sustainability and self-sufficiency are essential, but money is not what drives the creation and survival of an organization. There is no amount of money that can substitute for a clear and solid organizing plan. In organizing, I always encouraged people not to worry about the money, but to first make the plan, focus fully on that, and totally believe that if the plan is good enough, then resources will follow. In expressing this principle at ACORN, I would always say, “rain follows the plow.” What in the world could that have meant? In the “manifest destiny” development of America and its drive to populate the vast lands from coast to coast, unscrupulous land promoters launched thousands of “prairie schooners” on the sea of the western plains by dangling before landless farmers the dream that “rain follows the plow.” In truth, the western states were environmentally a desert, rather than the anthem’s “fertile plains,” but the hucksters were arguing that famers could break the soil and that would trigger rain. In farming, we now all know better. But, in building any kind of organization, the organizing plan is in fact the plow that breaks the ground, and money will in fact “rain” to grow the organization, if the plan is sound and followed steadfastly. I realize that what I’m advocating sounds more like magic than a dependable tool that will build an organization, but I totally believe – and this has been my experience for decades – that an organizing plan is the a priori that drives money to support organization building. This is especially true if the organization is about social change and building power. Money that comes separate from a plan is merely transactional and though it may open some doors and allow some doors to stay open, if such resources are independent of the fundamental organizing plan, they will distract the organization, and are as likely to kill it, as grow it.An organizing plan is not a mission statement. A mission statement is frequently just a carefully crafted group of words, more often as not to attempt to satisfy a funder. An organizing plan is something that can be explained and shared. Such a plan is clear and concrete, and can then create the enthusiasm and support that will trigger deep and lasting commitments. An organizing plan demands commitments, hell or high water, for years from people to make it real. The kind of commitments that led families to pack up everything they owned and head for the unknown in Oregon or California, risking their lives, and building new lives, albeit displacing native people. An organizing plan articulates the broad steps and objectives to achieve an important future. A plan doesn’t need a story, it tells its own story. An organizing plan is something that is bigger than any of us, while encompassing all of us. For ACORN in the mid-1970s, building organization in twenty states by 1980, the 20/80 campaign, was such a plan. The critical component was the commitment of members, leaders, and organizers to implement the plan in the now sadly archaic statement “by any means necessary.” Certainly, it would cost money, but the ways and means of the finances was a presumption, an afterthought, or a collateral result, not an inspiration or a first order of business If the plan was good, the commitments were strong, and the goals were right, the money would come, somehow, sooner or later. There’s no “quit” in making an essential organizing plan to build an organization. There can’t be “ifs, ands, or buts.” There has to be enough drive that there is no such thing as obstacles that will stand in the way. The assumption has to be that success is inevitable, even if unpredictable and impossible to fix on a specific timetable or assign on the calendar. When organizers say, we will do such and such, “if we can raise the money,” what they are really saying is that they are not sure that the such and such is important enough to the organization or to themselves to assure that it will in fact be done. Such an organization may not be worth your time and trouble. The promoters may be trying to convince you that there’s rain in the desert, but if money is what the organization depends on for its growth and success, then the plan isn’t strong enough to realize an independent and powerful future. This entry was posted in Organizing on September 23, 2018 by MaCPx. An issue might be burning through the community. Friends and colleagues might always be talking about a nagging issue. A problem or grievance that might have seemed personal turns out to be shared by many who want a vehicle to demand justice and win change. Whatever triggers the drive to build an organization dedicated to building power and achieving change, if is worth doing, it is important to keep alive, and that means that sustainability always matters. 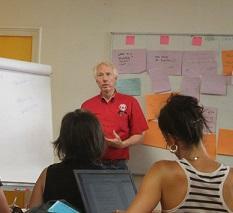 Sustainability in organizing is a euphemism for self-sufficiency. 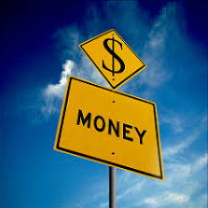 Self-sufficiency requires organizational control of financing. There are two sources of organizational funding. One is external funding and the other is internal financing. Sustainability privileges either source if it is driven and determined by the organization itself. External funding from government or foundation grants is never sustainable, because by definition such funding is always outside of the control of the organization. It comes and it goes based on decisions and criteria outside of the control of the organization. There are strings attached. There are “deliverables.” There are rules and regulations. Worse, external funding for social change organizations has become increasingly transactional, rather than transformative. There is almost invariably a quid pro quo, something wanted and required to receive the money. General support has become exceedingly rare in modern external fundraising. That doesn’t mean that an organization should never except external funding, but it should be received only as a means to an end, and the end must include sustainability. External funding has to be the organizational equivalent of venture capital, allowing the organization to do things it might otherwise have been unable to do. The caveat requires that a plan to build permanent capacity and replicable resources has to be imbedded in the implementation of any external grant. If not, external funding can sidetrack an organization and be the classic gift horse where the organization should have done a closer inspection of the teeth. Worse, an organization should never make decisions about hiring, staff compensation, or rental space based on the receipt of outside funding, because by definition anything that is not internally replicable is not sustainable. Internal financing runs the gamut from membership dues, sustainer contributions, pancake breakfasts, fish dinners, annual banquets, rummage sales, and a thousand other projects along with the sweat equity of the members, organizers, and leaders. These events are all within the capacity of the participants in the organization and directly involve the potential beneficiaries and constituency of the organization. An organization also controls its own ability to go to the general public for support. Technically, they are external to the organization, but replicable and sustainable. Seeking donors, running pledge drives, canvassing in public locations or other neighborhoods, tagging on street corners, all involve asking for and receiving public support. A disciplined schedule of internal fundraising can raise significant organizational resources. Once routinized and regularly repeated, sustainability becomes a foundational principle. Practicing that principle assures an organization’s survival and that alone should be enough to prove that sustainability always matters. This entry was posted in Uncategorized on September 23, 2018 by MaCPx. There are many reasons that people decide to build an organization. Anger is one. A rage at injustice or an action by the government coupled with a recognition that your one voice, even yelling, will neither be heard nor will it create change, is often enough. Sometimes it is a mutual agreement between friends or like-minded individuals to all stand together and dive into the deep end of the pool and see if an issue can be attacked, a campaign created, or maybe an organization formed. Sometimes it is neighbors or fellow workers aggravated about a persistent issue or grievance that forces collective action. Sometimes it starts, as it usually did with ACORN, with someone knocking on your door. There can be all manner of triggers that begin organizations and without care, there can be as many that stunt its development or suffocate its future from birth. Issues, grievances, inequities, and injustices are all reasons to build campaigns, but for an organization to live and win it has to have structure. It is important to be humble to the task, even while hopeful of the future. Organizational structure needs to be organic, meaning it needs to allow and encourage natural growth. It needs to be flexible, because there is no way to predict the future. For organization builders, this means not suffering from “premature certainty.” It is important to leave windows and doors open, so the organization can breathe. In the favelas of Brazil and throughout Latin America, any visitor can see several feet of rebar sticking through the roof of homes in lower income areas. Families think ahead to the possibility of adding another room or an additional floor, if and when, they have the money or the need. Everyone one knows they would not want to tear up the house in order to expand it. The same thing is true of organizational structure. If an organization begins organizing tenants, it is hard to then also organize homeowners, unless the structure is flexible and organic enough to allow and encourage that. The same for united workers and welfare recipients, yet all may have mutual interests and be stronger together in one organization. The labor movement is a perfect example as they have endured name changes and often with difficulty become general worker unions even though they are called teamsters or carpenters. Without care and foresight, the beginnings prejudice the ends. The same problem can arise around other organizational issues like membership versus non-membership, political versus nonpolitical, democratic elections versus appointments, and so forth. Organizations can change, but it is very, very difficult, and often they die trying or are replaced by other formations that can evolve and adapt to grow and change more easily. This is not fate or happenstance, but the result of decisions with painful costs because beginnings prejudice ends. This entry was posted in Organizing on July 12, 2018 by MaCPx. In building an organization for social change it is clear to everyone that the group should be nonprofit, but what does that really mean? Talking to other people there seems to be an automatic assumption that nonprofit means the same as tax exempt. Asking for advice from colleagues and lawyers, there is often a kneejerk presumption that if the organization is going to be nonprofit then by definition it should become a tax exempt under the rules of the Internal Revenue Service. What is the real deal? Is this an automatic and default option or is this something that an emerging group of leaders and organizers really needs to spend time thinking about when they begin building this new organization? Structure matters! Every minute spent on the front end of these decisions may determine the long-term future of the organization, so the time to debate these questions and make the hard decisions is at the very beginning before it prejudices the ends. A nonprofit organization quite simply is an organization that cannot distribute “profits” or surpluses to its board members. There are no investors or “owners.” Certainly, there can be profits or surpluses, and if they are not reinvested in building the organization or spent as quickly as they are earned, then the organization might have to pay taxes. In many states there are even “stock-based” nonprofits. Such a structure is common for example in nonprofit building corporations and other asset-holding nonprofits where the governance structure might be created by issuing shares to various other nonprofit or even for-profit organizations to direct the affairs of the organization. The shares indicate voting strength within the board, but such a share does not mean ownership or trigger any division of income or surpluses. The shares in a stock-based nonprofit are analogous to a cooperative. The membership definition in the bylaws of a nonprofit can as easily define members as individuals or families as they can other entities and organizations. The important thing to remember about a “plain vanilla” nonprofit is that other than not distributing “profits” if there were any, there are NO other restrictions on the activity of a nonprofit, including for political action. Furthermore, there is no minimum tax liability. If a nonprofit spends or reinvests and dedicates its financial resources, including membership dues, it pays no taxes. Tax-exempt in the United States means what it says at a very basic level. A tax-exempt organization pays no federal taxes. Depending on the state, county or city, such an organization may enjoy other tax exemptions for purchases or land holdings, especially those that are religious or educational institutions. The most favorable exemption is as a public charity under section 501c3 of the Internal Revenue Service codes. Unions, cooperatives, and trade associations enjoy some tax-exempt benefits under other 501c sections as well. In exchange for the exemption from federal taxation, the organization agrees to limit its political activity and right to public expression in “grassroots lobbying.” Many organizations and funders insist that the ban on such activity is total or only allowable at a small percentage of the total expenditures of the organization. Any such assignment is speculative. There has never been a regulation issued by the IRS or a legal case based on prohibited or allowable activity by a tax-exempt organization that has established a number or guideline, so it is all guess work, unfortunately rooted in the appetite for risk by the leaders or lawyers of such a nonprofit. Many funding organizations, foundations, and rich individuals insist on funding only tax-exempt organizations. There is no good reason for them doing so. In the case of religious organizations, like the Catholic Campaign for Human Development for example, since their contributions come from the public, there are no requirements that would restrict their grants. For foundations and others, their demand for tax-exempt status from their grantees is implicitly the way that they subcontract the responsibility for oversight for their own tax benefits from themselves to their grantees. A foundation exercising its own expenditure responsibility for its grant could simply monitor how its grantee of whatever shape and stripe was spending its monies to make sure they qualify as educational and charitable. Instead most of them protect their own tax benefits by claiming their donations to be tax exempt by forcing the grantee to accept the liability and police their grant. Granting to a 501c4 organization rather than a “plain vanilla” nonprofit gives no benefits to the grantee, it simply shields the donor from public scrutiny. An organization may want to create a separate tax-exempt organization as a partner, while maintaining its nonprofit status to allow maximum flexibility of action to its members or mission. If not, an organization may want to partner with an independent tax-exempt organization whether intermediary, church, or other 501c3, to act as fiscal agent to meet a funder’s requirements. Under no circumstances in creating an organization should the decision on whether to be tax-exempt or a regular nonprofit be allowed to be dictated by a funder or a lawyer. In a democratic, membership organization the path forward will almost always dictate being a simple nonprofit, so the future is open to all prospects and possibilities going forward. Any decision to create a tax-exempt organization is a decision that should be carefully made after full deliberations since the organization’s future will be narrowed severely by the requirements of the Internal Revenue codes in all of their specificity and ambiguity. This entry was posted in Organizing on May 28, 2018 by MaCPx. So, you have an idea for a way to make your neighborhood better, create social change, or join the resistance. You and others have hit the streets a couple of times, gone to public and community meetings, and want to reach out to others and take the next step to make things happen. A friend says his cousin is a lawyer who could give you advice. You have been online and learned a little something. It must be time to incorporate your idea so that you can build a “real” organization. Please understand that you can get organized and build and organization without being a corporation. For example, almost the largest membership organizations in the United States are labor unions and none of them are incorporated. They – and many other organizations at the local level – are “unincorporated associations of groups.” Most social movements, often forever and a least for some period of time, are often unincorporated. The National Welfare Rights Organization and its affiliates in the late 1960s and early 1970s was unincorporated. 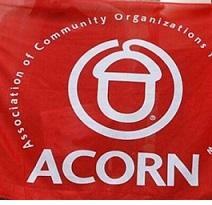 ACORN, the Association of Community Organizations for Reform Now, was unincorporated from 1970 to 1978. Occupy and Black Lives Matter more recently were unincorporated associations. Just like labor unions, such associations can have bylaws, bank accounts, sign contracts, own property, employ staff, and all of the other operations that go with building an organization. The decision to incorporate is not one for the lawyers to make. Primarily, it is one for the organizers and members to make based on what they are likely to do and how they are going to do it. Secondly, it is based on how the organization looks at risk and liabilities. Many movement-style and direct-action organizations resist or delay incorporation because they want to protect flexibility in their tactical selection. An incorporated organization can easily be enjoined in court which prevents action by all the members of the organization. In order to legally enjoin an unincorporated organization, the government or whatever organizational target would have to name specific individuals. The injunction would prevent their action, but not the action of other unnamed members. In the civil rights era where nonviolent demonstrations and civil disobedience arrests, whether those forcing integration or sitting in welfare offices were critical tactics, were common, avoiding injunctions was a strategic necessity. The NAACP could be sued for a boycott’s impact in Mississippi and the liability could be millions, because they were incorporated, but it was harder when a movement was unincorporated as recent litigation around assessing liability to Occupy and Black Lives Matter has shown. According to research conducted for In These Times in partnership with Ear to the Ground, law enforcement in at least eight states—Arizona, Florida, Georgia, Iowa, Minnesota, Missouri, Washington and Wyoming—lobbied on behalf of anti-protest bills in 2017 and 2018. The bills ran the gamut from punishing face coverings at protests to increasing penalties for “economic disruption” and highway blockage to criminalizing civil protests that interfere with “critical infrastructure” like oil pipelines. Louisiana and other states are currently debating such legislation in their legislatures. Much of this new anti-protest curtailment of free speech has occurred in the wake of the Standing Rock protests against the Dakota Access Pipeline in North Dakota in 2016. The Standing Rock Sioux tribe as a legal entity could be stopped legally. The thousands who came to support them could not be stopped in the same way. If you and your neighbors and friends were just trying to put together a group to make your voices heard, you might ask, “Why care about all the drama and history of social movements?” The answer is simple: because it matters! Would you build the roof and walls of a house before you figure out how big the house would be, where it would be located, and who would live there? Of course not. The same goes for starting an organization. The reason to not incorporate your organization is to force authorities to hold individual members accountable for actions, the reason to incorporate is to protect individual members from action by authorities. Now, I’ve confused you, but step back. The only real reason to incorporate is to protect assets. If your organization has no assets, incorporating can put limits on your action. If your organization has assets and an increasingly clear and identifiable membership, then may be time to incorporate in order to protect the downside as fiercely as you tried to advance the upside in the beginning. The real organizing tip here is simple: think first, before you incorporate. Make sure organizers have a clear vision of what they are trying to build before they make a permanent decision about the structure of the organization. Structure matters! She couldn’t get any air into her lungs. At first, Edith Abadlia, then an oncology nurse who had worked for two oncologists located in Memorial Hermann Medical Plaza for more than 25 years as of July 2012, tried to ignore it, but she couldn’t seem to draw a deep breath. The feeling got worse, as if a corset had been cinched around her waist and pulled so tight she thought she might die. 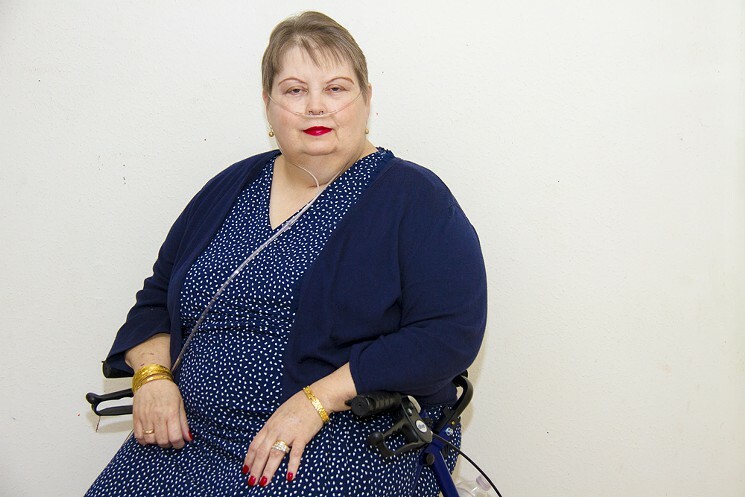 Abadlia told one of the doctors, and he suggested they take her over to Memorial Hermann’s Texas Medical Center emergency room since her employers didn’t have the right equipment to check her out. She walked next door to the emergency room. Abadlia didn’t have health insurance — her office didn’t provide it, and she and her husband had lost their coverage after he was laid off from his IT job — but someone told her not to worry, that Memorial Hermann is a nonprofit hospital with a charity arm that would be able to help her handle the bills. During the first hours, Abadlia’s world had narrowed to focus only on the next breath, on sucking oxygen into her lungs. Once the feeling began to pass, she kept an eye out for the woman who was supposed to come talk with her about her finances and applying for charity to cover part or all of the bill, but no one ever showed up. She was discharged, still unclear about what was wrong with her and what she owed the hospital. A few months later, the tightness returned. This time it was like an iron band around her torso, and she was sure she’d suffocate and drop dead in the middle of the oncology office. One of her bosses walked her next door to Memorial Hermann again, she was given drugs to help her breathe, and was scanned, examined and kept overnight again for observation. Again it was unclear what was wrong with her. Again someone told her a woman would come by to talk with her about qualifying for charity care since she was uninsured. She says no one ever came. Over the following months, her health declined to the point she quit her job, hoping things would improve if she got rid of the stress. She kept an eye out for the Memorial Hermann bill and talked with her husband about how they would tackle paying it and the other medical bills she was incurring as her health continued to fail. “I thought maybe one of the doctors I worked for more than 25 years had paid it or maybe the charity had taken care of everything and it was all okay,” she says now. On December 31, 2014, Abadlia found an affidavit plastered on her front door informing her she was being sued for her bills at Memorial Hermann. Abadlia lives in northwest Houston and is retired and home most days because of her deteriorating health, but she maintains no one ever came to the house or tried to inform her of the lawsuit until the last day of the year. After she received the affidavit, Abadlia called Memorial Hermann’s law firm to try to get some information about what she was being sued for. Since she’d never seen her own bill for the two hospital stays, Abadlia asked the lawyer if he could send her a copy of the unredacted bills from 2012. He told her that wasn’t possible because her bills from two years ago had already been archived. He urged her not to fight the lawsuit and to accept the bills and the additional charges she was likely to face if she didn’t answer the suit and the judge issued a summary judgment. By then, she had nine days to find a lawyer who would take her case. Abadlia learned how much she owed Memorial Hermann, according to hospital records, only after she learned of the lawsuit. It was filed in August 2014, and the private process server attempted to serve legal documents to Abadlia eight times from November 2014 to December 2014, according to court documents filed by Sullins, Johnston, Rohrbach & Magers, the law firm that handles Memorial Hermann’s debt-collection cases. She was being charged more than $32,000 for two nights of observation at Memorial Hermann at the Texas Medical Center, plus 6 percent interest and a $2,500 legal fee. Abadlia, who drives a 12-year-old car and lives on disability checks, talked with different lawyers, but they all wanted her to pay hourly fees that were well beyond what she and her husband could afford. Between what he makes as a limo driver and her small Social Security stipend, they make the money stretch to pay bills and pay down some of the other medical debts acquired after her health collapsed, but none of the lawyers offered a rate they could afford. She’d resigned herself to showing up alone in court when the phone rang and a man with a cheerful voice informed her his name was Orell Fitzsimmons and he wanted to speak with her about her lawsuit. 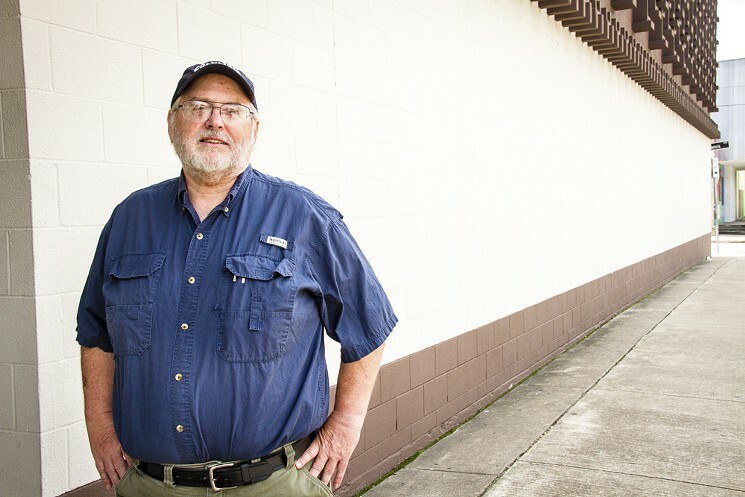 Fitzsimmons is a longtime labor organizer who is now the head of Citizen Wealth Centers in Houston, a new organization whose members pay $20 per month and get help with things like taxes, financial aid applications, medical bills and lawsuits. In 2013, when the Houston Press reported that Memorial Hermann Health System, one of the largest nonprofit health systems in Texas, was suing uninsured patients [“Getting Stuck,” by Dianna Wray, July 24, 2013], the suits were being filed in state district court. In fact, Memorial Hermann has been pursuing patient debts that either were not covered by insurance or were incurred by patients without insurance, those often least able to pay their full-price medical bills, through the court system for more than a decade. Hospital lawyers are now primarily using the county civil courts at law to pursue unpaid medical bills. A Press audit of the Harris County Clerk’s records shows that Memorial Hermann has sued more than 500 patients in county civil courts over more than a decade. Memorial Hermann Health System is the plaintiff in 22 lawsuits to collect debts from patients in 2015 alone, with the most recent suit filed April 29. Memorial Hermann spokeswoman Alex Loessin describes these lawsuits to collect debts from patients as “very rare incidents” for Memorial Hermann, a “recourse of last resort” representing only a tiny percentage of the more than 1.8 million patients treated in the Memorial Hermann Health System within the last fiscal year. “We only take such legal action after all reasonable efforts have been exhausted,” she says. But on the other side, critics say Memorial Hermann is a nonprofit unfairly targeting vulnerable patients despite the hospital’s not-for-profit, tax-exempt status. Unlike any other nonprofit hospital in the Houston area, court records show, Memorial Hermann has been suing hundreds of patients for payment since shortly after the hospital system was formed in a merger in the late 1990s. While some Houston-area hospitals occasionally sue patients for payment, no other Houston nonprofit hospital has filed as many lawsuits against patients as Memorial Hermann. Fitzsimmons started trying to find people like Abadlia about four months ago. People were coming into the Citizen Wealth Centers asking for help with these lawsuits filed by Memorial Hermann. Once he’d read enough of the lawsuits — all filed by the same legal firm, all featuring redacted medical bills and asking the judge to -order the defendant to pay the full bill plus 6 percent interest per year and $2,500 in attorneys’ fees — Fitzsimmons started trying to contact the defendants. He had better luck with the more recently filed cases because most of those patients hadn’t moved. Fitzsimmons brought in Kevin Hall, a lawyer who works car accidents but who has been doing mostly pro bono work representing debtors against credit card companies, utility companies and collection agencies for years. Hall had noticed a number of Memorial Hermann cases over the years. In one case, a patient agreed to pay more than $600,000 in medical debt, plus more than $50,000 in attorneys’ fees. “That really bothered me because that’s an outrageous amount to charge for this type of work,” Hall says. “To take advantage of an un-sophisticated person who is being sued and scared over a debt so that she agrees to pay that high a fee on top of what she owes, that got my attention.” When Fitzsimmons approached him about representing Abadlia and a few other clients, Hall immediately agreed. It’s still unclear why Memorial Hermann pursues this route to try to collect debts. In 2013, the hospital -system brought in more than $3 billion in revenue, according to Moody’s, and the credit rating agency predicted the system will continue to grow and thrive in coming years. The root of the practice may lie in Memorial Hermann’s history. The hospital system was forged in 1997 when two charity hospitals, Hermann Hospital, known for conducting more scientific studies and based in the Medical Center, and Memorial Health System, known for its size, combined. A study issued by the American Hospital Association in 2011 noted that both hospitals were financially weak at the time of the merger. Lawyer Robert Painter has been working on medical lawsuits since the 1990s. A few years ago, he noticed Memorial Hermann had filed a number of suits against patients in Harris County District Court. Painter represented some of those patients, including Ignacio Alaniz, the subject of our cover story in July 2013. Memorial Hermann isn’t the first nonprofit hospital to come under fire for an approach to patient billing that seems to clash with its nonprofit status. “It’s been a national phenomena. A couple of decades ago, it was reported that some hospitals were doing this and then suddenly lots of hospitals were going and doing it. Suing patients coincided with rising costs in health care, so suddenly there was more money to collect,” Ho says. Texas requires that at least 4 percent of patient revenue actually be spent on charity care, but right now that includes full-price bills for the uninsured and the charges that Medicaid won’t reimburse, along with various community services. This means the hospital is providing charity care, so the money doesn’t go as far as you’d think, Painter said. Who qualifies for the charity care can also be a murky question. Memorial Hermann patients have to be within 200 percent of federal poverty guidelines to qualify for free charity care. If they are 201 to 400 percent within the poverty guidelines, they qualify for reduced-cost medical care on a sliding scale, Loessin says. Even though the law is changing to require hospitals to clearly post these guidelines along with how to apply for financial aid, Memorial Hermann still doesn’t have these parameters posted online or attached to its medical bills, according to the 990 Internal Revenue Service form required of tax-exempt organizations that was filed by the hospital in 2013. Other Houston-area hospitals have come in for their share of criticism. The University of Texas Medical Branch, located in the district Gray represented as a legislator, has been sharply criticized for years, drawing complaints that it doesn’t do enough in the community to maintain its nonprofit status and tax exemption. MD Anderson came under fire for attempting to turn away a Lake Jackson woman diagnosed with acute leukemia because her limited-benefit insurance wouldn’t cover enough of the bill and hospital officials wanted her to pay more than $100,000 up front, Gray said. MD Anderson was also the focus of a recent story in Time magazine in which the author called out the nonprofit hospital for pulling in a profit of $531 million, a 26 percent margin on $2.05 billion, and for paying its president and CEO, Ronald DePinho, a salary of more than $1.8 million. Ho says it was inevitable that a large nonprofit hospital system in Texas would turn to the courts to collect debt on medical bills, given that at least 25 percent of the state’s population is uninsured. As a Level One Trauma Center, Memorial Hermann in the Texas Medical Center treats a disproportionately large number of uninsured and underinsured patients in distress because it is better equipped to handle emergency medical situations. As things have changed, the hospital systems that have figured out how to collect on high-cost medical bills have been the ones that have managed to stay financially healthy. While nonprofits are required to donate a certain amount of charity care to the community to maintain their tax-exempt status, being a nonprofit is not the same as taking a vow of poverty. Nonprofits don’t have shareholders, but that doesn’t mean they can’t generate any profits. While some of that money goes to charity care, nonprofit hospital employees are well compensated, including Memorial Hermann CEO Dan Wolterman, who was paid more than $3 million in 2013, according to the most recent 990 available. “A lot of these nonprofits have marble floors and statues and beautiful office furniture. They can spend the money where they see fit,” Ho says. Memorial Hermann donates more funds in uninsured and underinsured care than any other nonprofit hospital system in Houston, Loessin says. Even though the charitable care is required, the result is still that Memorial Hermann handles more uninsured patients than other hospital systems. But the system itself has been undergoing a shift as it adjusts and prepares for the federally mandated changes resulting from the Affordable Care Act. Many of the changes brought on by the ACA have already been put in place, but more are coming. The number of uninsured has fallen in Texas since the ACA went into effect, according to a study Ho has been issuing annually since the start of the ACA, but it hasn’t declined as much as in other states because Texas government officials refused to expand Medicaid, a move that would have brought the bulk of the uninsured into the insurance system. However, Texas did accept about $29 billion over five years to spend on uncompensated care. Memorial Hermann and other hospitals that see a high number of uninsured patients have been able to draw on those funds, but Gray says the federal government may yank the funding because Texas officials are still refusing to expand Medicaid. There are other changes coming, too, that will affect the economics of hospitals. 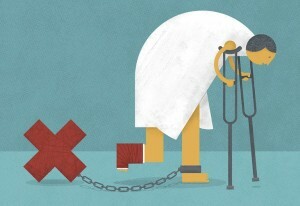 “In the future, they’ll be penalized if they discharge a patient too soon. They’ll be penalized if they don’t have plans in place to coordinate patient care better. They’re going to have to work harder to provide a mechanism for patients to meet their financial obligations,” Ho says. Austin Kirkland, a health-care revenue consultant, says that in previous years, hospitals were focused on dealing with representatives of the federal government through Medicare and Medicaid and with insurance companies. They tended to be secretive about both the sticker prices for services and the real prices that patients with Medicare, Medicaid and insurance would ultimately pay. But that has changed with the Affordable Care Act. Hospitals need to start treating patients as customers instead of patients and need to be upfront about what treatments and services will cost and how everything works, Kirkland says. After Franky Nguyen, then 25, was run over by his ex-girlfriend in October 2013, he was in so much pain he could barely speak, let alone think about how his part-time job at Walmart didn’t provide health insurance, or wonder how he would pay the medical bills already mounting as the ambulance rattled toward Memorial Herman Northeast. Someone called Nguyen’s mother, Tanya Nguyen, to say her son was in the hospital after being run over by a car. Her husband drove her to the hospital where Tanya Nguyen found her son lying on a gurney, hooked up to IVs, his face slack from the morphine drip, a splint snapped onto his left leg. A hospital representative had appeared at his bedside and asked if he had health insurance. When he said no, they didn’t ask any other questions about his job or his circumstances. No one mentioned applying for aid from the nonprofit arm, Tanya Nguyen says now. The X-rays revealed that he’d been lucky, the doctors told his mother: Even a pound more of pressure and his bones would have snapped as the car thudded over his body. His hips and knees ached from deep bruising and he was going to have to use crutches to walk for months, but he was in better shape than expected. Watching her son in the hospital bed, Tanya Nguyen didn’t know that the hospital was charging him $11.50 for every dose of the drug. She had no idea he was being charged more than $2,000 for the scans of his ankle, legs and pelvis. Tanya Nguyen works at a department store, and her husband has been unemployed since he was laid off from his warehouse job in 2012. The family cares for elderly relatives and lives on a tight budget, Tanya Nguyen says. After about two hours in the hospital, Nguyen was released and given a bill for more than $5,000. In the following months, the bills kept arriving in the mail, but he couldn’t pay them, so he ignored them. His parents tried to stay out of it — he got so emotional when anyone brought up the incident that it seemed best to leave him alone — until they found out Memorial Hermann was suing Nguyen to pay the bills in March 2015. They called attorney Painter and asked him for help. When the Nguyens contacted him, Painter was surprised that Memorial Hermann was still suing uninsured patients, and he agreed to represent Nguyen pro bono. He’d assumed that since Memorial Hermann had stopped filing against patients in state district court, the hospital system was using other methods to collect patient debts. Texas law protects a person’s home and up to $60,000 worth of personal property and forbids wage garnishment. Despite that protection, people facing these debt lawsuits are in a difficult situation, Painter says. Lawyers can’t take such cases on a contingency fee basis (in which the lawyer gets paid a percentage of the winnings) because if they win, it only wipes out the debt. If a person doesn’t have the money to hire a lawyer on an hourly rate, he or she has to try to find a lawyer who will take the case pro bono. Those who are within 150 percent of federal poverty guidelines can qualify for Lone Star Legal Aid, Gladney says. After Painter got involved, Memorial Hermann agreed to drop the lawsuit against Nguyen. However, Painter is also working to collect from -Nguyen’s ex-girlfriend’s insurance company for the damage. Memorial Hermann has already filed a lien against the claim and will be paid some portion of the $5,000 bill if and when Nguyen gets the insurance money. More than 20 years ago, Abadlia was a single mother trying to figure out how to support her family. She’d always loved helping people, so she scraped together the money to go back to school to become a nurse. Now Abadlia has Fitzsimmons and Hall helping her. She calls them her “guardian angels.” Hall helped her obtain the medical bills and they’ve been going through them. and Abadlia says she’s found mistakes that will cut down on her bill when they’re resolved. There’s no time limit on when a person can apply for Memorial Hermann’s charity care, so Hall is helping Abadlia to see if she can get some of the debt expunged that way. If not, they are moving ahead with court proceedings, Hall says. Fitzsimmons plans on gathering a bunch of the patients together so they can work as a team to get the hospital to listen to what they’ve been doing. It’s a long shot, but Fitzsimmons is hoping that talking with hospital officials and putting faces to the names of those being sued for debt will make the officials listen and change their ways. Maybe they’ll finally stop suing patients who can’t pay their bills. Maybe. This entry was posted in Uncategorized on May 28, 2015 by MaCPx. While lawyers have much we can be proud of, we also have a great deal to be ashamed of in terms of how we are responding to the needs of people who can’t afford to pay for our services….There has probably never been a wider gulf between the need for legal services and the availability of legal services….Every day, all over the country, people lose their homes or apartments when the law says they should keep them, and people can’t feed their children when the law says they should be able to feed them. People don’t know the rights they have; even if they know the rights they have, they don’t know how to enforce them. And it all has one cause – many people desperately need legal services, but can’t afford to pay. She said that she found that “nearly one quarter of all poor people each year have a civil legal problem deserving a lawyer’s attention. But publicly funded attorneys can handle only twelve percent of the load. According to the ABA, eighty percent of poor people’s civil legal needs go unmet.” That amounts to tens of millions of Americans. Her basic message, grounded in numerous studies, is that when lawyers represent these clients or when they can educate people about how they can invoke the law themselves, far fewer Americans would be evicted from their homes, fewer families would go hungry, fewer people in need would be denied benefits (like Medicaid), and fewer consumers would be gouged. The Justice found the absence of legal services to be shocking, telling her audience of attorneys that “the legal needs of poor people involve the most basic necessities of life, needs like food and shelter.” Legal services are even more needed at the present time, with more poor families and more homeowners in the midst of foreclosures. Obviously, it didn’t happen. And, it’s not going to happen, which is why we have come together to organize Citizen Wealth Centers. This entry was posted in Uncategorized on July 6, 2014 by MaCPx.